Are you like me?… Do you often look back nostalgically to an authentic, romantic past? 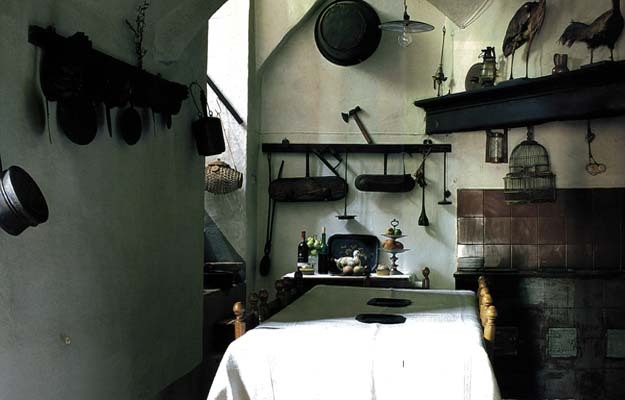 Are you fond of structures that have kept the patina of times gone by? Are you easily sent into raptures by places and monuments which radiate sheer drama? Yes, that’s the way I am. 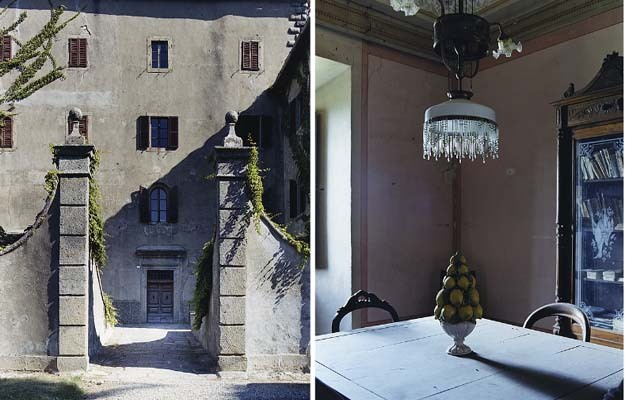 And if you are like me, then you will fall under the spell of the wondrous Palazzo Conti Cervini, a nonpareil palace situated in the very heart of the Vivo d’Orcia estate, where Trust&Travel rents a number of houses. This mesmerizing monument is one of Italy’s best kept secrets. Most travellers to Tuscany just pass by it without suspecting that it is close by, camouflaged in the tranquil woods veiling the slopes of Mount Amiata, the highest summit of the Orcia valley. 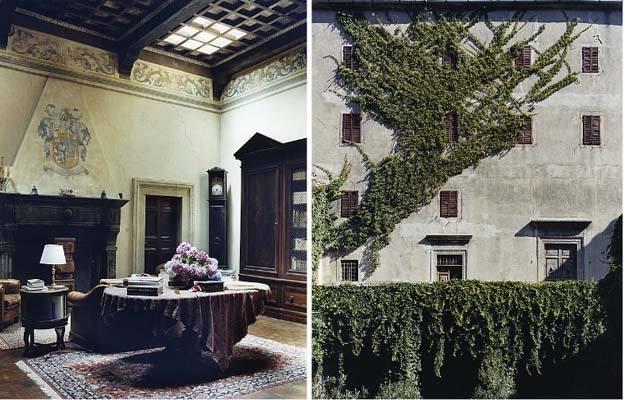 The Palazzo Conti Cervini boasts a long and captivating history. It first started as a hermitage, founded in 1002 by the Camaldolese monks, who wanted to be close to the source of the Vivo river (which still supplies the city of Siena with water). In 1534, the monastery and the surrounding land were handed over to Cardinal Marcello Cervini, who was to become Pope Marcello II a few years later. 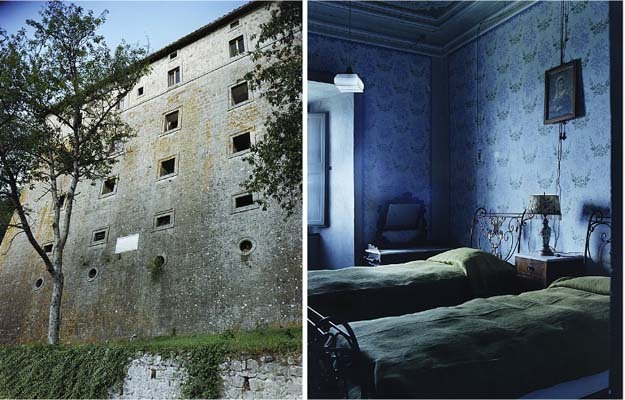 With the help of the famous Renaissance architect Antonio da Sangallo – renowned for the palaces he built in Siena and Rome, – Pope Marcello II transformed the old monastic estate into a lofty and comfortable “country retreat”. The property has remained in the family ever since. 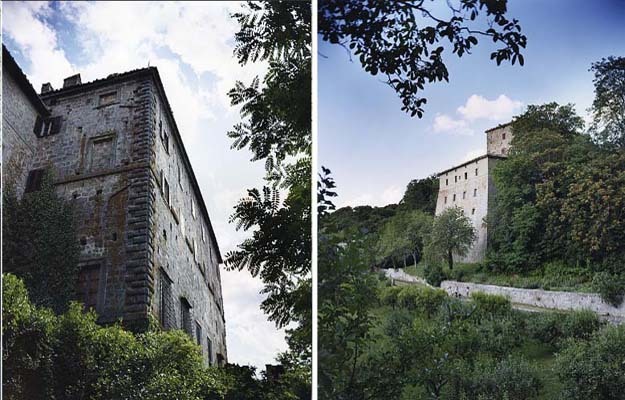 Needless to say, the entire site, with its castle, chapel, outbuildings, hamlet and surrounding land – and often referred to as the Castello del Vivo, – has been listed by the Italian Ministry of Culture. Here’s how you can “find” this cultural and architectural gem if you happen to be in the area… You first have to get to the village of Vivo d’Orcia, located on the northern side of Mount Amiata (at 900m above sea level), and accessible by either one of these two roads: the Strada Provinciale 65 or the Strada Provinciale del Monte Amiata. You’ll have to negotiate a few hairpin curves and bends on your way up, but I’m sure you’ll enjoy this part of the trip too. Raptures guaranteed! See you next week!